Finding the right heating system for your home can seem easy at first, but once you start considering what size boiler you need, what heating system is currently in place and where the boiler will be situated it can get confusing very fast. Clifford Heating Services will help you choose the right heating system for your individual needs, taking into account the size and layout of your home and, of course, your budget. We aim to find the system that's most efficient for your home, helping to keep your heating bills as low as possible. With the use of up to date technologies and energy saving products such as smart controls, we make your heating system work for you. 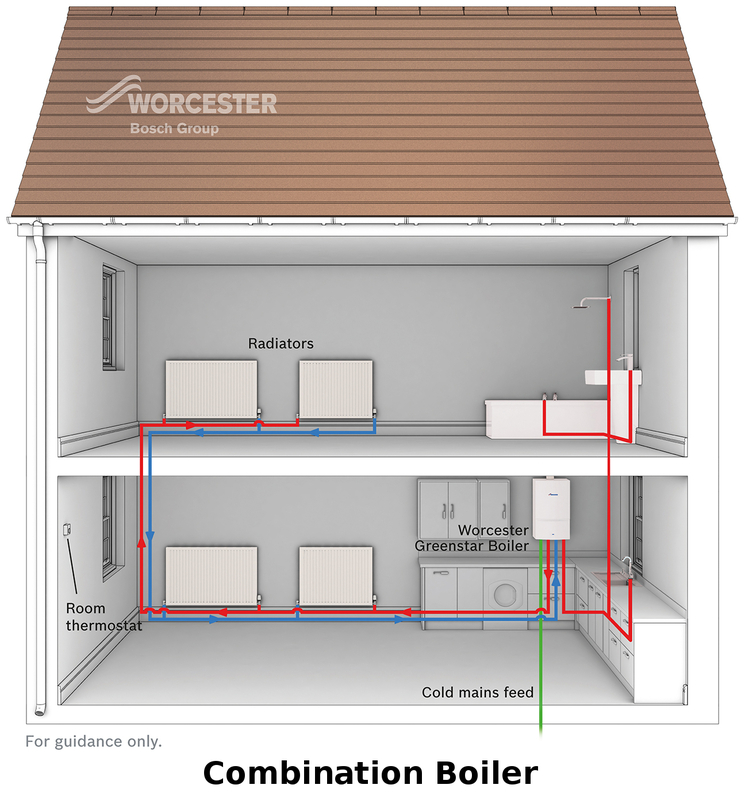 Combination Boiler - or a ‘combi’ boiler is both a high efficiency water heater and a central heating boiler in a single compact unit. The water is heated directly from the mains when you turn on a tap, reducing the need for a hot water storage cylinder or a cold water storage tank in the roof space. Combination Boilers are very cost-effective and energy-efficient, and due to being run off the mains pressure you can get a powerful shower without the need for an additional pump. 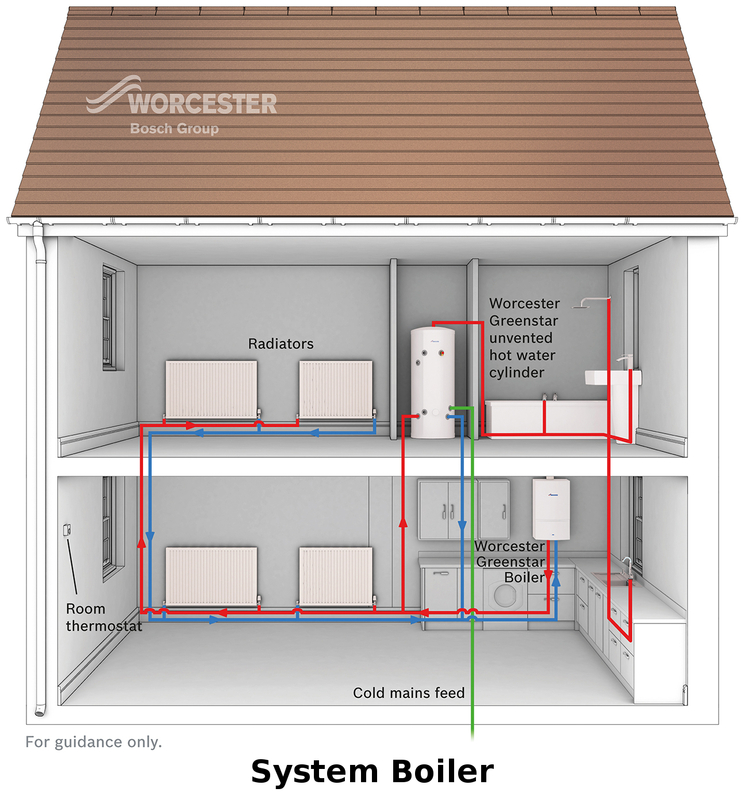 System Boiler - System boilers are units with the system components for heating and the hot water system built within, quick and easy to install. However they require a cylinder for storing the hot water, making them bigger than a combi boiler. They can provide constant hot water to a number of taps at once and ideal for homes with more than one bathroom. These boilers are also compatible with solar water heating systems, which deliver environmental benefits as well as lower energy bills. Conventional Boiler – Conventional boilers (sometimes known as traditional boilers) are ideally suited to homes fitted with a traditional heating and hot water system linked to a separate hot water cylinder. 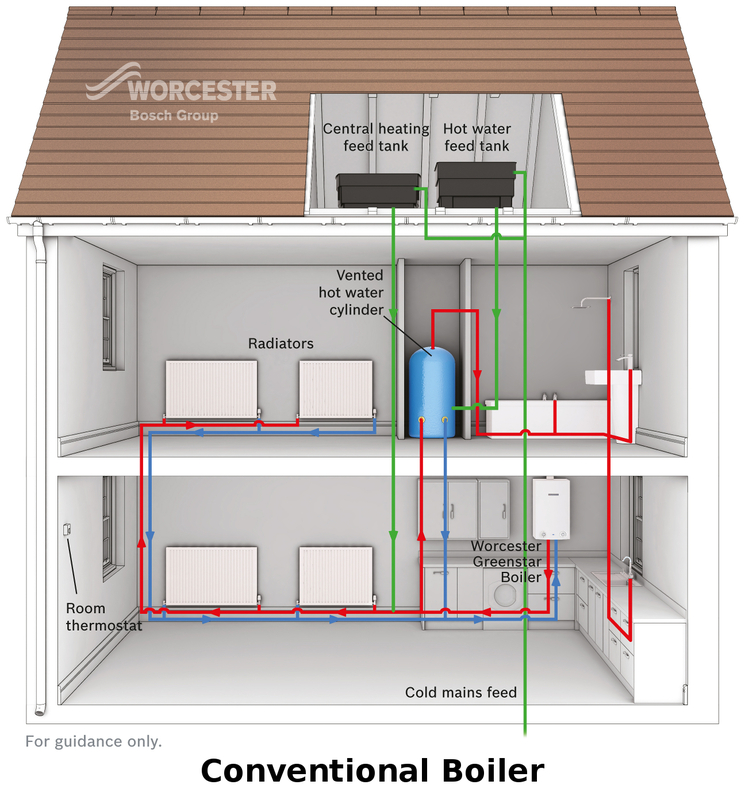 A cold water storage tank is required in the loft to feed the hot water cylinder as well as a tank that maintains the water level of the central heating system. From a brand new full heating system, a system conversion to a boiler swap, we can offer our expertise, knowledge and skills to fit exactly what you need. Contact us to arrange a free, no obligation quote.